Truck Depreciation: What’s The Best Value For Long-Term Use? Buying a new truck is a big financial decision. Today, you have a wide selection of trucks from different truck brands that you can choose from. Most people still consider the price tag as the main decider when it comes to purchasing a truck. However, one of the most important factors to consider is the truck’s resale value. Owning a truck that will retain its value in the long-run will be a much better investment. In this post, we aim to explore which trucks depreciate the least and ask, which is the best value for long-term use? Below, we have compiled a shortlist of the best trucks in Australia with the best resale value. Kenworth – an American truck brand popular in Australia, with major points in operational and driver appeal. Kenworth trucks are engineered according to Australian requirements and are manufactured with durability in mind. Most trucks under this brand have new software packages geared to enhance performance, fuel efficiency and automatic transmission. Road Star – one of the most popular trucks in Australia that boasts modern but practical features. They’re made from premium materials that can withstand Australian conditions. Aside from its great sleeper, entertainment system and Wi-Fi setup, Road Star is powered by Detroit, DD15 and uses Eaton’s Ultrashift Plus for transmission. Freightliner – Freightliner trucks are stylish and very well built. They have innovative fuel-efficient designs and are great value for money. Mercedes-Benz – new Benz truck models are slowly gaining a reputation among Australian truck buyers because of their high-powered engines. These trucks also have some of the best sleepers in the market today. Man – Man’s are one of the most popular truck brands in Australia and worldwide. They’re backed by their solid reputation for durability and functionality. Scania – Scania are a very popular Swedish manufacturer of class 8 trucks or those that have the capacity to carry over 16 tonnes of heavy load. Safety Tech – with advancement in truck technology, more truck buyers now expect the safety tech features. Automated emergency braking, blind spot monitoring and routing software and devices are just a few examples. Transmission – automatic or manual transmission affect a truck’s resale value. Regions – This is particularly important in Australia, as each region has different conditions and different demands for trucks. Brand – given a choice, truck buyers will opt to go for well-known brands that have a reputation for quality (like the list above). Brands who manufacture low maintenance but highly efficient trucks are also sure winners. kms per litre – with fuel prices rising, the km/l equation is becoming more and more important, as truck buyers are gravitating towards fuel-efficient trucks. A complete history of truck maintenance records is one of the best ways to ensure re-sale value. Having your truck serviced regularly – and according to manufacturer’s instruction – is important to maximise its value. It’s the number one thing that truck buyer’s look for. Environmental factors like sun and dust can cause obvious wear and tear on your truck’s exterior. 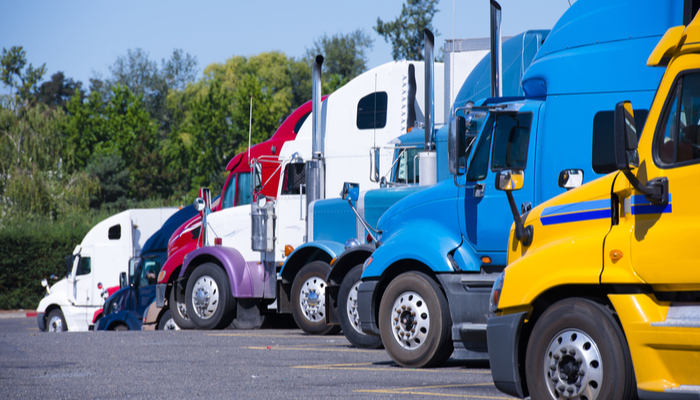 Reduce effects from the elements by keeping your truck in appropriate ports and parking areas. Regular cleaning is also a must to maintain your truck’s condition. Keep an eye out for minor damage like dents and chips, as these can also affects the truck’s value when placed on the market.